GS1 UK, the supply chain standards organisation, has facilitated the formation of the Retail Grocery Advisory Board with the objective of providing industry-wide solutions that will offer a better customer experience while delivering efficiencies throughout the supply chain. The Advisory Board includes members who represent almost 80% of the UK retail grocery market. Members of the Advisory Board are ASDA, Boots, Coca Cola Enterprises, Co-op Group, Dairy Crest, Kellogg’s, Mondelēz International, Morrison’s, Müller UK & Ireland, Nestlé, Ocado, PepsiCo, P&G, Sainsbury’s, Tesco, Unilever and Waitrose. They are committed to identifying areas where they can work collaboratively to address some of the challenges and pain points that the retail grocery sector faces today – such as changing shopper habits due to the rise of online and mobile shopping. They are focusing on how to unlock value in the end-to-end value chain that will ultimately deliver benefits both for the industry and the customer. The Advisory Board is co-chaired by George Wright, Commercial Director for Strategy & Operations at Tesco Plc and Richard Sadler, Customer Director at Unilever UK & Ireland. * Digital DNA will address the industry-wide issue of data quality, with the aim to improve the customer experience in this increasingly digital age. 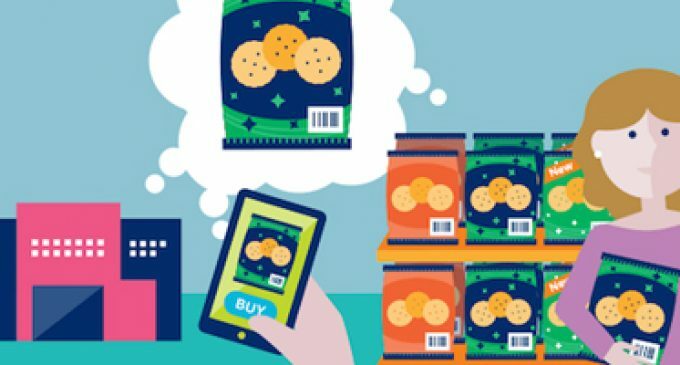 In the last five years alone, industry analysis has shown that there is a £2 billion opportunity by improving data in the value chain to support product availability and sales. * Perfect Order will focus on the order-to-cash process, establishing industry-wide harmonised processes for inbound logistics to drive efficiencies while removing avoidable costs.